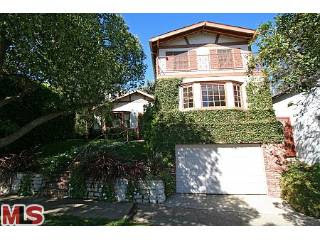 The home at 2050 Glendon Ave., LA CA 90025 received a price reduction this week of 2.52% or $20,000, down to $775,000. The home was listed 25 days ago on 5/5/09 for $795,000 and this is now the 1st price reduction of the listing term. According to the MLS, the home is a 2 bedroom / 1 bath, 1,176 sq ft home on a 5,400 sq ft lot. This is the second least expensive home currently available in Westwood. The home is basically a little box and is need of either complete remodeling or to be torn down. 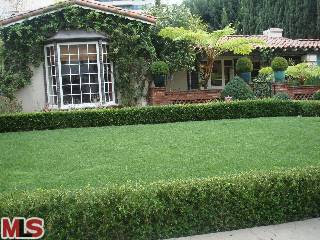 The Westwood home at 1918 Prosser Ave LA CA 90025 received a price reduction this week of 2.93% or $30,000, down to $995,000. The house was listed 26 days ago on 5/4/09 for $1,025,000. And According to the MLS, the home is a 3 bedroom / 1.75 bath, 1,528 sq ft home on a 5,445 sq ft lot. The house is a very clean throughout and mildely updated since being built in 1948. The garage has been converted without permit to a 3 room office space. The Westwood Little Holmby home at 10428 Wyton Dr., LA CA 90024 received a price reduction this week of 6.26% or $300,000, down to $4,495,000. The property came on the market 228 days ago with an original asking price of $5,395,000. This is now the 4th price reduction of the listing term. According to the MLS, the home is a 5 bedroom / 5.5 bath, 3,928 sq ft of home on a 11,325 sq ft lot. The Westwood Country English at 1318 Holmby Ave., LA CA 90024 received its 2nd price reduction of the current listing term of 3.03% or $50,000, down to $1,599,000. This house was listed 66 days ago on 3/23/09 for $1,685,000. According to the MLS, the home is a 3 bedroom / 3.5 bath, 2,320 sq ft on a 6,500 sq ft lot. This house has been remodeled throughout with updated electrical, copper plumbing and a newer roof. The house also has a newer remodeled gourmet kitchen and baths. The kitchen is off the dining room and is closed off. So if your looking for a kitchen that is open to the family room/den area, then this is not the house for you. The house also features vaulted ceilings in the dining room, living room and upstairs bedroom. 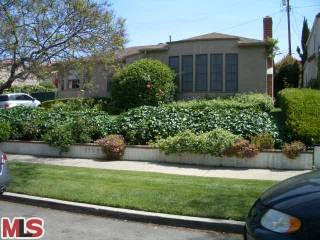 The property at 2207 Benecia Ave., LA CA 90064 received a price reduction of .09% or $1,000, down to $1,149,000. The property was listed 43 days ago on 4/15/09 for $1,200,000. According to the MLS, the home is a 3 bedroom / 3 bath, 2,000 sq ft on a 5,850 sq ft lot. This is the 2nd time the seller has made a $1,000 price reduction during the current listing term. The house has been remodeled throughout with newer kitchen and bathrooms. Its important to know that the location of the house sits 2 houses south of Olympic on the West side of the street. 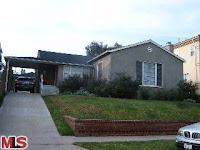 The home at 10511 Rochester Ave., LA CA 90024 came back to market as a short sale and also received a big price reduction from its previous list price of 8.6% or $151,000, down to $1,599,000. The home started it's journey back on 11/17/08 for $1,995,000 and now has received 3 price reductions. According to the MLS, the home is a 6 bedroom / 4 bath, 4,800 sq ft of living space on a 6,500 sq ft lot. 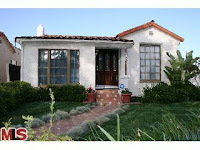 The home at 1910 Fairburn Ave., LA CA 90025 receives its first price reduction of 6.19% or $60,000, down to $909,000. The home was listed 21 days ago on 5/7/09 for $969,000. According to the MLS, the home is a 3 bedroom / 2 bath, 1,477 sq ft of living space on a 6,621 sq ft lot. The Westwood Tudor at 10513 Holman Ave., LA CA 90024 received a price reduction this week of 5.89% or $100,000, down to $1,599,000. The property was listed 121 days ago on 1/27/09 for $1,850,000. This is now the 3rd price reduction of the listing term. I think one of the best features of this house is the pool and entertaining area in the backyard. According to the MLS, the home is 5 bedrooms / 2.75 baths, 2,828 sq ft of house on a 6,500 sq ft lot. The property at 2017 Kerwood Ave., LA CA 90025 received its 4th price reduction this week of .5% or $5,000, down to $1,095,000. 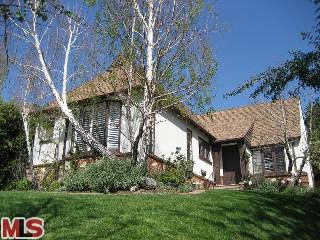 The property was listed on 11/24/08 for $1,249,000 and has been on the market 127 days. According to the MLS, the home is a 2 bedroom / 2 bath, 1,850 sq ft of living space on a 5,565 sq ft lot. The home has a very open feel to it with the dining area and family room open to the kitchen. 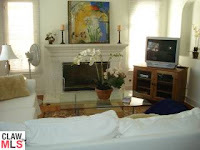 The living room is also spacious with a fireplace and big picture window facing the front of the house. 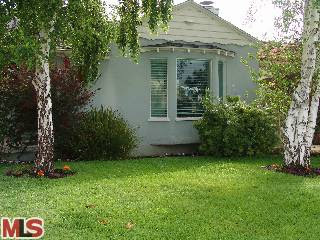 Additionally, the home is located on a great street with very little drive by traffic. Also located on the same street is the highest public sale ever in lower Westwood, an architectural home selling for $3,150,000 at the end of 2006. This report is for Monday 5/18/09 through Sunday 5/25/09. These stats include all areas of Westwood (90024, 90025, 90064). The Spanish house at 2116 Prosser Ave., LA CA 90025 was re-listed while receiving a price reduction of 3.5% or $50,000, down to $1,379,000. 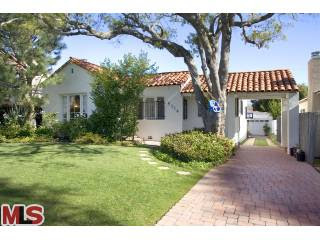 This is now the 2nd price reduction of a listing term that started on 2/27/09 for $1,489,000. According to the MLS, the home is a 4 bedroom / 2 bath, 2,508 sq ft home on a 6,750 sq ft lot. What Did That Investment Property Sell For? 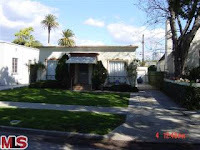 The triplex property at 1530 Veteran Ave., LA CA 90024 lasted 260 days on the market before receiving an accepted offer. The property was listed 7/16/08 for $1,895,000 and received 4 price reductions during its listing term. The property closed on 5/6/09 for $1,442,500. All three units came vacant, which consisited of (2) 2+1's and (1) 3+2.5 on the property. The MLS states the building is 3,502 sq ft of living space on a 6,708 sq ft lot. The Westwood Spanish at 2111 Prosser Ave, LA CA 90025 just came back onto market after what looks to be a lengthy short sale negotiation with their lender. 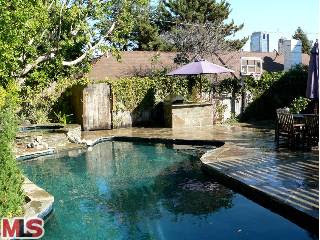 The property expired off the market on 2/1/09 after being on the market 185 days with an asking price of $1,079,000. 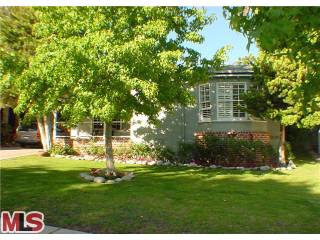 However, its now back on the market as a Pre-Approved Short Sale with a new reduced price tag of $850,000. A pre-approved short sale usually means the lender has approved this asking price and the short sale process, thus drastically reducing the response time to get an answer back to the buyer about an offer. Normally, most properties that come on the market as short sales are not pre-approved and can take up to 6 months to get approved by the lender. Which is most cases the former buyer has already walked away. According to public records this property is a 3 bed / 1 bath, 1,243 sq ft home on a 6,075 sq ft lot. 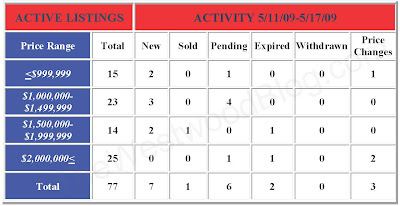 This report is for Monday 5/11/09 through Sunday 5/17/09. 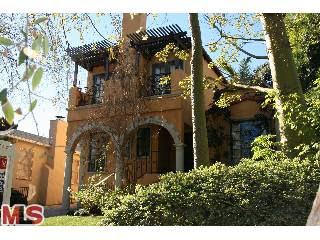 The Spanish house at 2150 Pelham Ave., LA CA 90025 received a price reduction of 6.26% or $50,000, down to $749,000. The home was listed 35 days ago for $799,000 and this is the first price reduction of the current listing term. According to the MLS, the home is a 3 bedroom / 2 bath, 1,685 sq ft of living space on a 5,400 sq ft lot. The completely remodeled traditional at 10707 Wellworth Ave., LA CA 90024 received a price reduction this week of 3.16% or $60,000, down to $1,840,000. The house was listed 28 days ago for $1,900,000. According to the MLS, the home is a 3 bedroom / 3 bath, 2,202 sq ft of living space on a 7,020 sq ft lot. 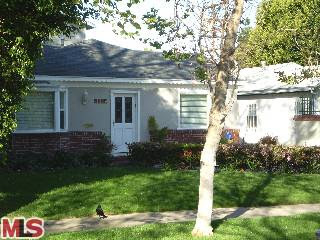 The Little Holmby Spanish at 10492 Lindbrook Dr., LA CA 90024 lasted 53 days on the market before going into escrow on 3/16/09. The home was listed on 1/22/09 for $1,950,000 and had no price reductions. The home closed on 5/12/09 for $1,762,500. According to the MLS, the home is a 3 bedroom / 2.5 bath, 2,350 sq ft home on a 8,515 sq ft lot. 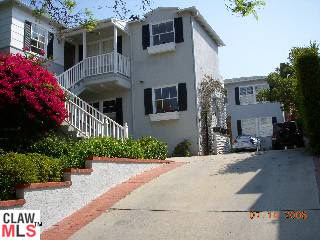 This propety at 1922 Bentley Ave LA CA 90025 received a 8.37% or $100,000 price reduction, down to $1,095,000 today. This is now the 4th price reduction of the listing term, which has lasted 401 days now. They have made a few changes to the property during the listing period, like removing carpet and exposing some hardwood floors in the living room. And putting down stone floors in the kitchen instead of the carpet that was there. According to public records the home is 4 bed / 3 bath, 2,358 sq ft of home on a 6,050 sq ft lot. 1) You can view a Virtual Tour here. The Mediterranean home at 2001 Fairburn Ave., LA CA 90025 received a price reduction of 4.13% or $70,000, down to $1,625,000. 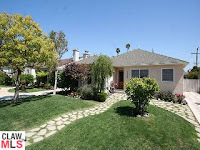 The home was listed on 1/12/09 for $1,799,000 and has been on the market 127 days as of today. According to the MLS, the home is a 4 bedroom / 2.5 bath, 2,918 sq ft on a 6,075 sq ft lot. 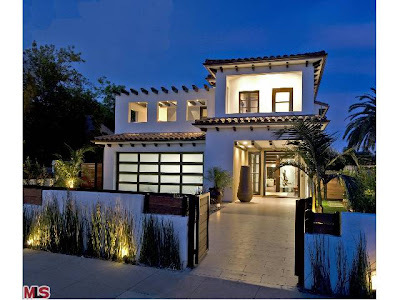 The New Construction Contemporary Mediterranean home at 1918 Westholme Ave., LA CA 90025 received a price reduction of 5.44% or $155,000, down to $2,695,000. This is the 2nd price reduction during the current listing term which started 74 days ago for $2,995,000. According to the MLS, the home is a 5 bedroom / 5.5 bath, 4,800 sq ft house on a 7,840 sq ft lot. There are lots of exposed wood beams throughout this house and all the finishes are very contemporary. And if you like open floor plans downstairs in your home, this is the house for you. After walking through the formal entry, you step into the entertaining areas which all flow into each other. The formal living area has a dramatic 2 story ceiling and a fireplace. The expansive gourmet kitchen, complete with high end stainless steel appliances and a breakfast bar, also opens to an eating area and the den. A seperate office and bedroom complete the downstairs. The den and downstairs bedroom open to the backyard, which has a covered outdoor den, patio, small patch of grass and a pool/spa. Upstairs there are 4 bedrooms including the luxurious master suite. The master suite is very large with a fireplace, balcony and a seperate sitting area. 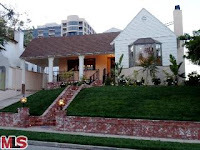 The Westwood home at 2134 Malcolm Ave., LA CA 90025 received a price reduction of 6.04% or $64,000, down to $995,000. The property was listed 47 days ago on 4/1/09 for $1,099,000. According to the MLS, the home is a 3 bedroom / 1.5 bath, 1,442 sq ft home on a 5,400 sq ft lot. The house is located on the east side of the street about 5 houses north of Olympic Blvd. The overall condition inside is very clean, but original with its kitchen and baths. There looks to be an add-on bedroom in the rear of the house (Buyer to verify permit). What makes this not as functional is you have to go through the 2nd bedroom to enter into the third bedroom. A jack and jill bathroom also divides the two rear bedrooms.